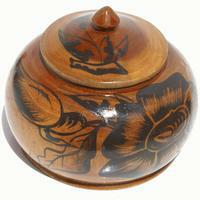 Handmade wooden gobelet with flower ornament. 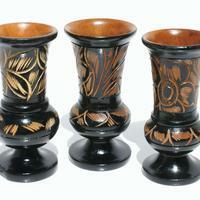 Haitian handicrafts. Height 18cm, diameter 8cm.